The Toolkit builds on our previous DCN research and the preliminary findings of the APPG Inquiry. It aims to help districts achieve their ambitions for collaborative transformation, be that structural or non-structural solutions– working both with each other and with other partners. 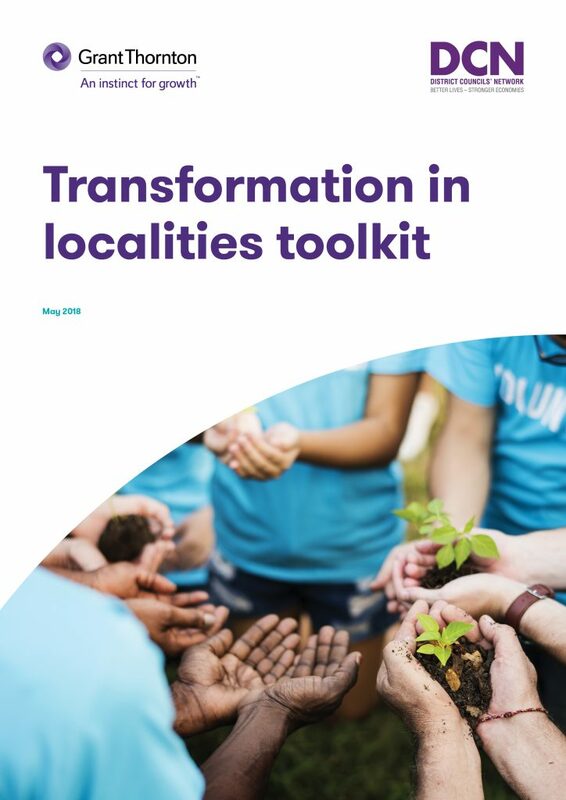 We hope that the toolkit will support districts to realise their ambitions of transformation, help to remove barriers to collaboration, and provide practical guidance and insight on a range of related issues. Grant Thornton is well established as a supporter of the public sector and has been working with local authorities for over 30 years. The firm counts 65 District Councils as audit clients and in recent years has advised clients in two-tier areas across England on devolution, collaboration and reorganization. Why did the DCN commission the toolkit? Up and down the country districts are working with their district and wider local authority and public sector partners to transform the way they deliver services in their area. We want to support district councils to get the best solutions for people and place in any type of local government transformation. This work will also support districts in determining the best structural and non-structural models to deliver services at the right level by providing them with a tool to assess and evaluate their options based on the outcomes they want to achieve and their vision and equip them to taking the next steps on their transformation journey. We want Districts to share their knowledge and support each other to best serve their residents in an evolving local government landscape filled with challenges and opportunities.